Dental tools used during dentist appointments are often out of sight. It’s common to kick back in the dentist chair with the light shining in the sunglasses we provide and wonder what exactly is going on, which may cause some patients dental anxiety. 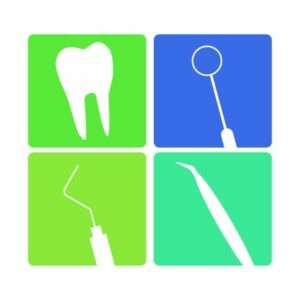 Dentists in Hillsdale Portland Dr. Tiffany Goldwyn and Dr. Howard Jarvis and their team want patients to be as comfortable as possible to ensure your dental health, which includes taking some of the mystery out of the dental tools that we use. Dental tools have a bad reputation for looking scary, but these simple aids help us to get a better look at your dental health. The mouth mirror helps the dentists and staff to look in every crevice and corner of your mouth, in front and behind teeth to observe the condition of teeth and gum tissue. This casual observation can tell our dentists a lot regarding your dental health, and what might need a little more investigation. Another tool is a common probe, which is an angled tool used to locate any developing decay, cracks, plaque and calculus buildup and potential problems with crowns, fillings, or dental bridges. A different probe we use is called a periodontal probe. This tool measures the depth of gum tissue to see if there are potential or current pockets that occur in periodontal disease and threaten your good dental health. Motorized sounds in a dental office are often associated with drills, but they can actually be attributed to what’s called a handpiece. For good dental health, a handpiece is used with a variety of attachments to clean and repair teeth, including placing dental fillings, completing chip repair, performing tooth polishing and for root canals. You might not think of tweezers when it comes to your dental health, but ones that lock and unlock help dentists pull smaller objects from teeth or gum tissue in order to perform careful reconstructions or restorations. This dental tool has an unusual name, but is very necessary for good dental health. This is the tool that may be referred to as “the sucker,” which suctions saliva from your mouth during teeth cleanings and dental work. In addition to saliva ejector, there might be a need for wool cotton rolls for absorption, and they are handled with the tool called Cotton Pliers. These resemble tongs with a tapered point, and the name of them can seem scary while the tool itself is not. Hopefully this run-down helps to alleviate some of the fear of seeing those sharp and shiny instruments that will be used. Each one has a specific purpose that has been tried and tested over the years for precise and successful dentistry. The dentists and team at Southwest Portland Dental are here to help you become more comfortable and confident taking care of your smile and dental health. Call Southwest Portland Dental at 503-244-8112 to schedule your personal appointment!